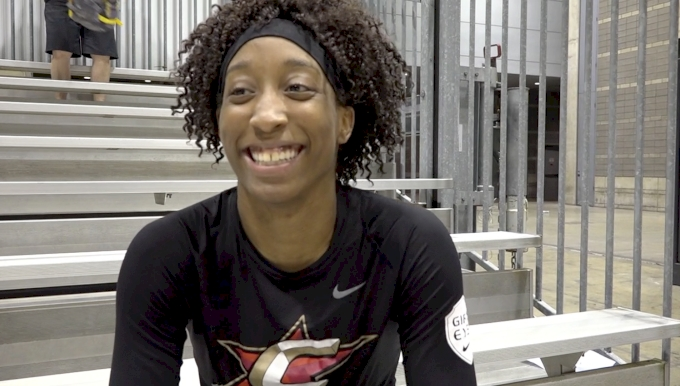 CHICAGO -- Cal Stars standout Aquira DeCosta didn’t know what losing was going to feel like for her or her teammates. After all, they were the favorites and only undefeated squad heading into Nike Nationals. Yet, the moment came at the worst possible time. Needing to win against the Philadelphia Belles, a team the Cal Stars beat by 18 points earlier this spring, to advance to the Platinum Bracket at McCormick Place, the Stars dropped the pool finale to the Belles 71-62 on Tuesday and will instead play in the Gold Bracket. Frustrating? Absolutely. The 13-0 run to start this summer was fun, but there will be no crown for the 2015 champions. As for the 6-foot-2 DeCosta, an explosive athlete who is considered a top five prospect for 2018 by multiple outlets, she is staying positive through it all and had numerous college coaches on hand to watch her play, including several from her final list of Baylor, California, Louisville, South Carolina, and Tennessee. It’s crazy the Cal Stars won’t be playing for the title, but there will certainly be big crowds for DeCosta and her teammates as they try to finish the tournament on a high note.